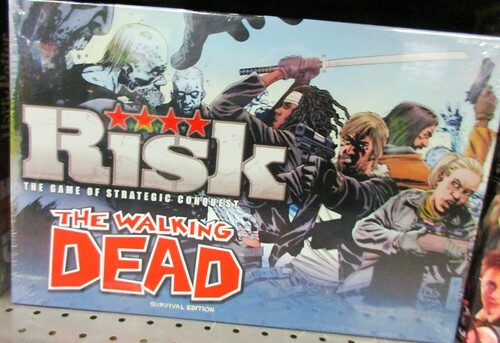 I have so many questions about how Walking Dead Risk works. Is it the same rules of Risk, just with a different map? Are there different teams, and the zombies are a NPC force that every player has to deal with? Is every player on the same side and they are fighting zombies? I am not sure Walking Dead Monopoly makes any sense at all. I am not sure how you own property in the world of the Walking Dead. At least it is not Walking Dead Payday.